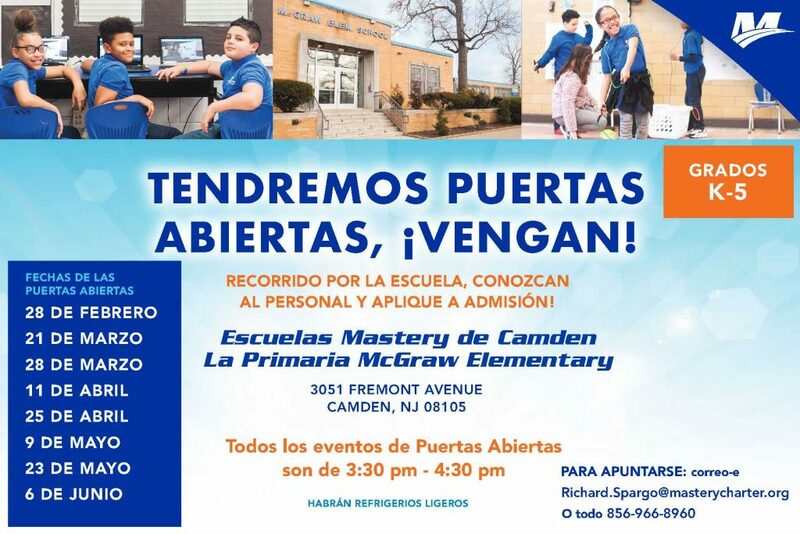 McGraw is a neighborhood elementary school serving 350 students and their families in Kindergarten through 5th grade. It’s a special place where your child will experience the joy of learning and rigorous academics in a safe, loving environment. 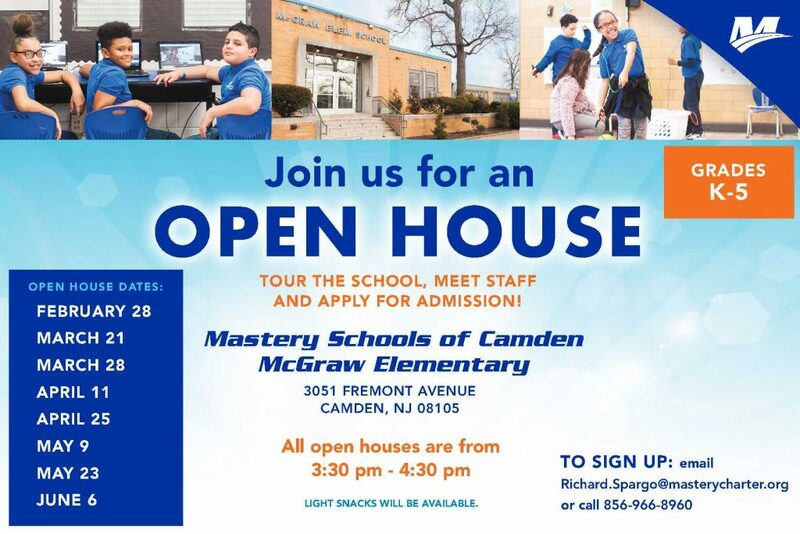 McGraw students have the opportunity to automatically attend our East Camden Middle School for 6th – 8th grade, then Mastery High School of Camden for 9th – 12th grade, giving them a full K-12 Mastery experience. We also partner with several community groups to bring fun, unique opportunities to uo students. Each month there is at least one event for families! help their children with their schoolwork.